My son had some difficulty comprehending the values of fractions without seeing them visually. Comparing and contrasting fractions is difficult! So I spruced up my Pizza Fractions activity pack to give him some more review that he needed. We also found some other activities to be helpful. First, we started with a number line on the floor in tape. This helped him compare the values. Our masking tape fraction number line does have values marked, but it’s hard to see in the picture! Then my pizza to fraction self-matching cards helped him further compare the values. He loved that they were self-matching! He could easily correct himself if he got confused. 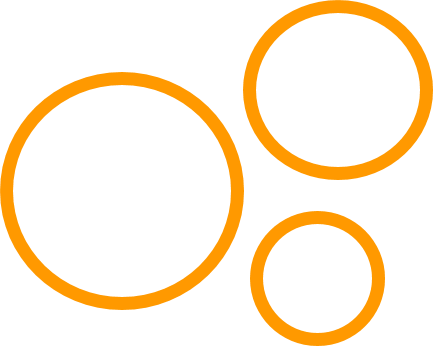 The self-correcting feature makes this a great center. “I Ate…? 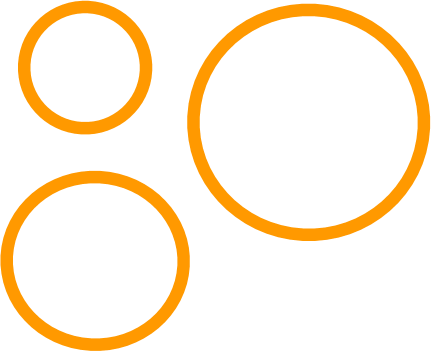 Who Ate…?” is a variation of the “I Have…. Who Has…?” games. 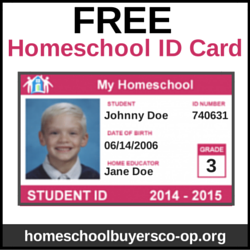 It does not work as well in a homeschooling situation with one student, and yet my son still had a lot of fun putting them in order! It’s more difficult to play this game in a homeschool setting, but Raisin got in to it. 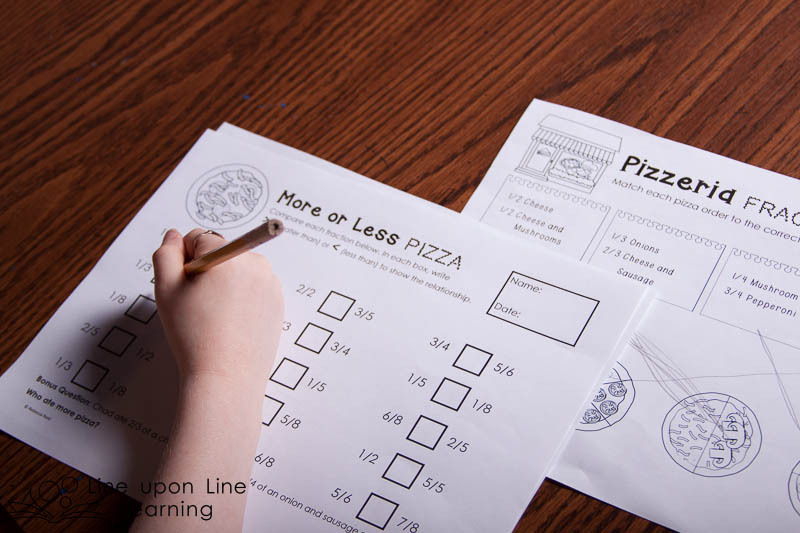 Playing pizza owner was a fun worksheet for him. I did not put too many problems on each page so it would not feel overwhelming. He liked it and wished he could make his own pizza order game (he love to pretend in our play kitchen). The greater than or less than worksheet was less ”fun” for him but it was certainly great practice. 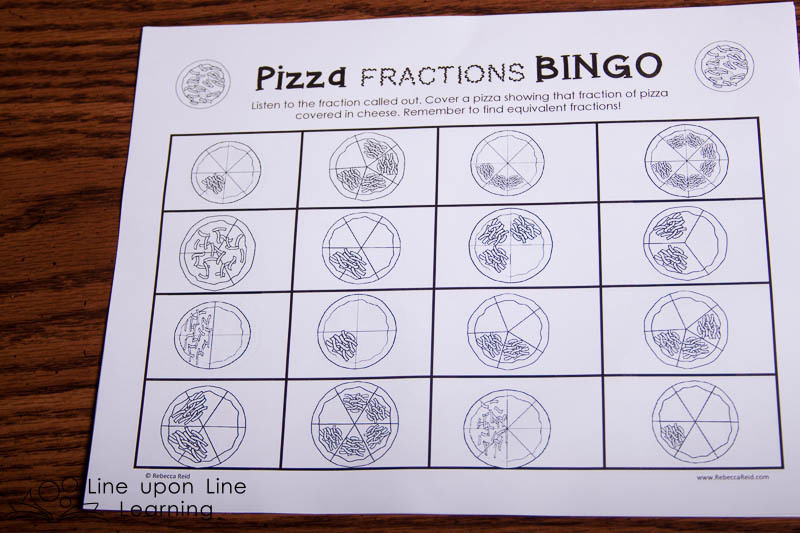 My son most enjoyed the four “Pizzeria Fractions” matching worksheets. Finally, I printed out a few of the BINGO boards (there are 25 unique boards in my product) and we played equivalent fractions. Definitely a favorite part of playing for him! I included 25 unique BINGO boards. 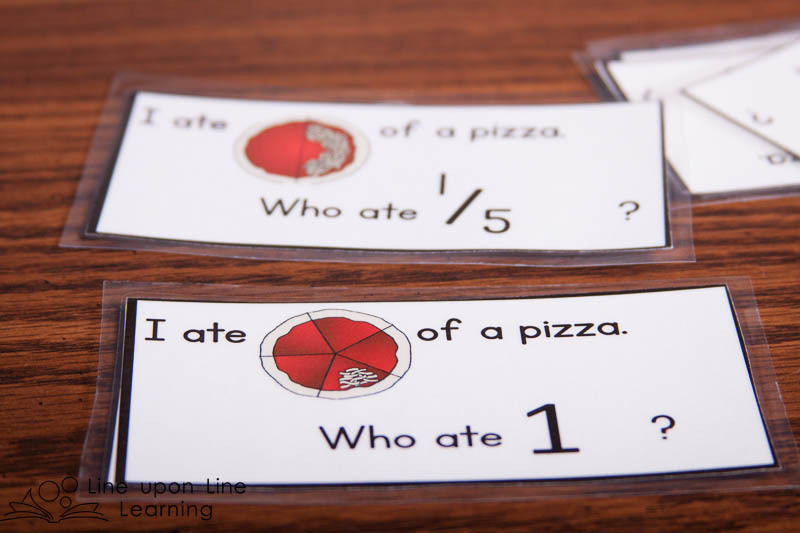 Kids can practice finding equivalent fractions. 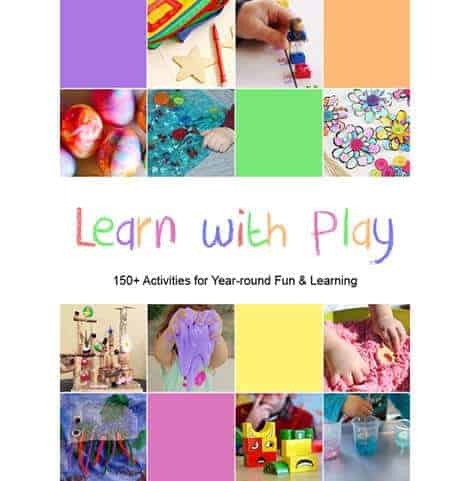 At the same time, I was able to find some wonderful activities to go along with our learning. 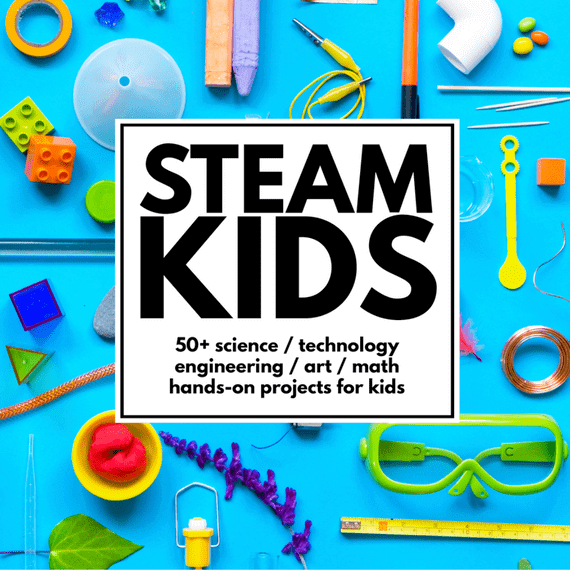 These came from a friend on TeachersPayTeachers, the creator behind LittleStreams shop. The Frac-tominos was a domino game with fractions (we haven’t played Fractominos number 2 yet)! We also used the flashcards for comparing and contrasting fractions to decimals and percentages, and we will continue playing the Fraction SNAP game for review as go along with math this year. 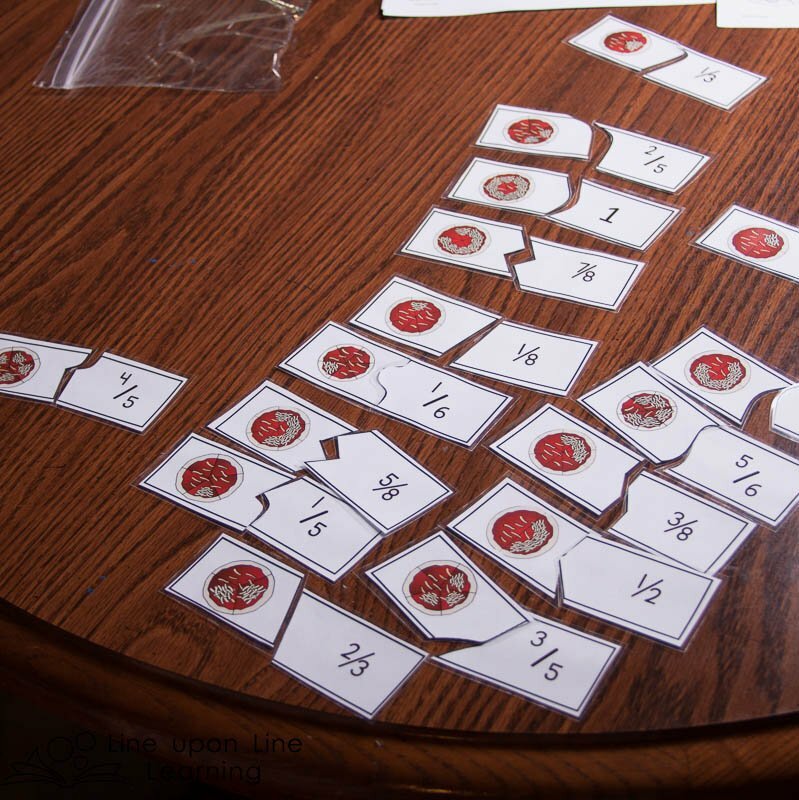 I really appreciated the easy way I could cut out the game cards and flashcards (LittleStreams provides cutting lines), and the worksheets look super professional. While my son did not like some of the worksheets, I sure did! They were a perfect compliment to the games we were playing. As for the games, well, let’s just say he wants to continue reviewing fractions this week so we can play some more games! 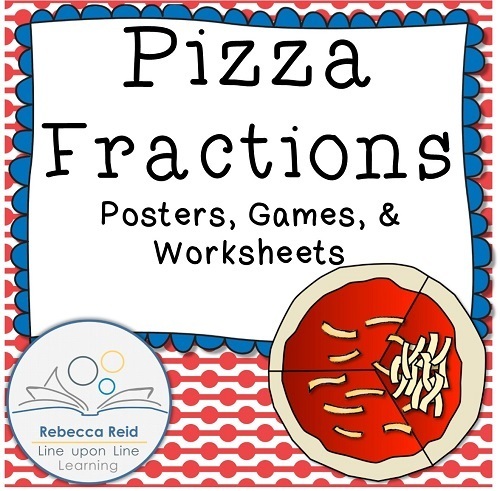 Together, my pizza fractions activities and LittleStreams games made for great fractions review and learning! 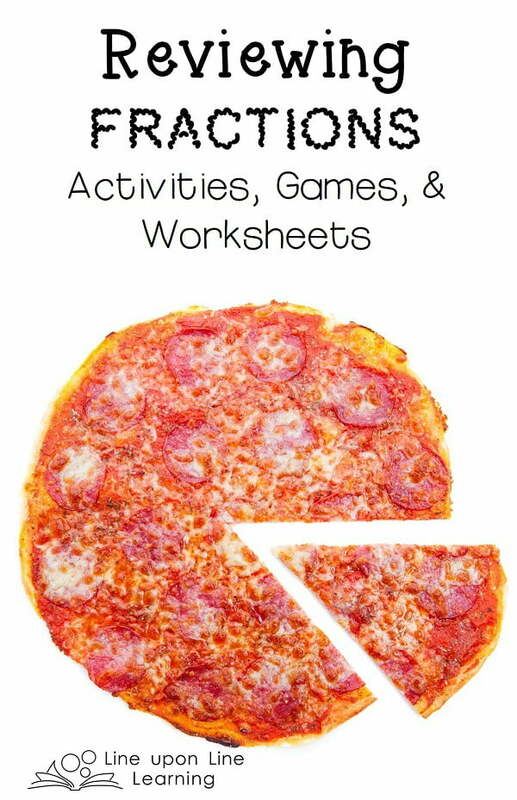 Get my pizza fractions activity at my Shop or at TeachersPayTeachers. See also my free equivalent fractions color-by-code page for free in my shop! How do you learn about fractions?